Modern EN-B gliders like our CHILI and TEQUILA leave little to be desired. 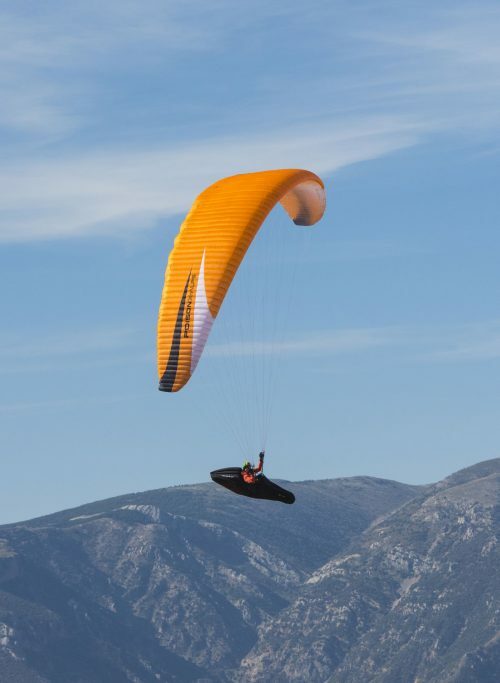 But the EN-C sport class offers us just the right amount of freedom to develop gliders with special characteristics for experienced XC pilots looking for more than just incremental improvements. The CAYENNE5 redefines the sport class: our XC sportster combines true comp wing feeling with the genes of the CAYENNE series. We intentionally made the CAYENNE5 more of a comp wing than its predecessor. Positioned at the upper end of its class, our year-long development efforts produced a new concept with a higher aspect ratio, more cells and a profile optimized to reduce drag. 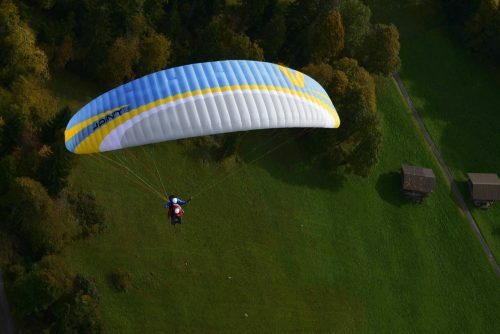 The result is a sport class glider that sets new standards for performance, precision and dynamics. 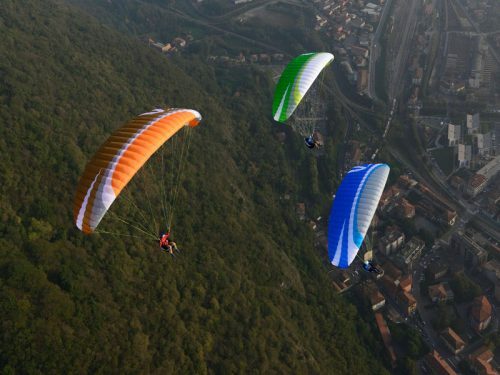 In the process, we remained true to our motto: pure passion for flying. The CAYENNE5 is pure flying fun! All the latest technology packed in our new wing. 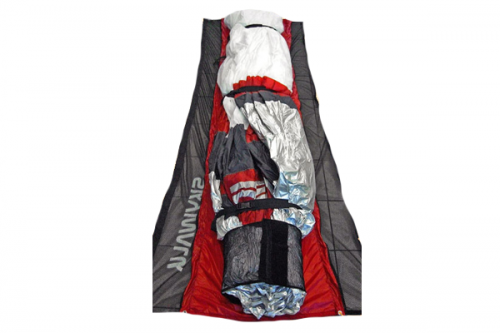 The CAYENNE4 is not just a pure 3-Liner, it only uses 2 main lines per side and line level. The new suspension system uses a 4-way bridge between the two main lines, reducing line drag by 20% compared to the previous model, the CAYENNE3. 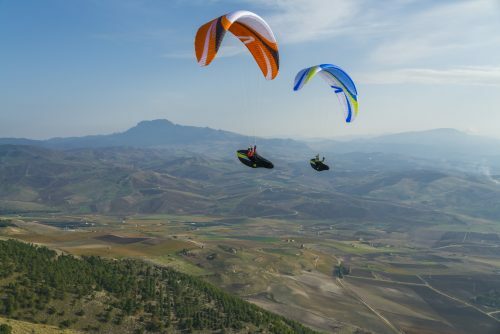 With the CAYENNE4, we have designed a glider that will convince you with its exceptional glide performance, its precise, fatigue-free handling and a high degree of passive safety. Compared to the CAYENNE3, we improved performance in every regard. Enjoy the feel good factor! Check out this Video! 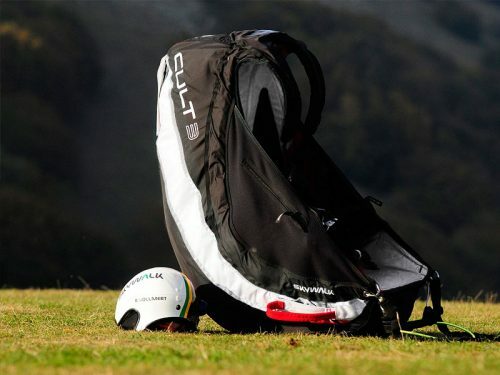 The Chili3 is classified as a high-end free rider, impresses with outstanding XC performance for its class. 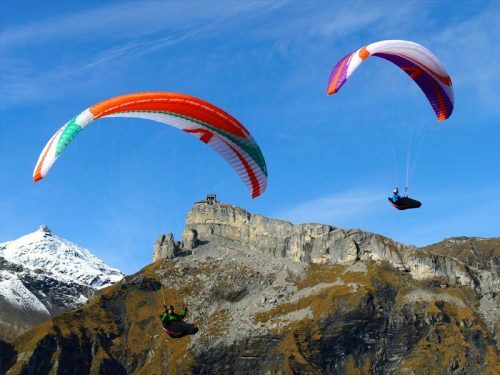 Good glide behavior, high top speed, high stability yet high pilot safety at the same time. New technology like mini-ribs, C-wires as well as a new cell concept that saves 25% in meters of line provide more performance. High value was placed on achieving the clean and simple handling, especially pleasing to pilots. The reduced brake pressure compared to the CHILI3 provides for a high comfort factor, even during long flights. 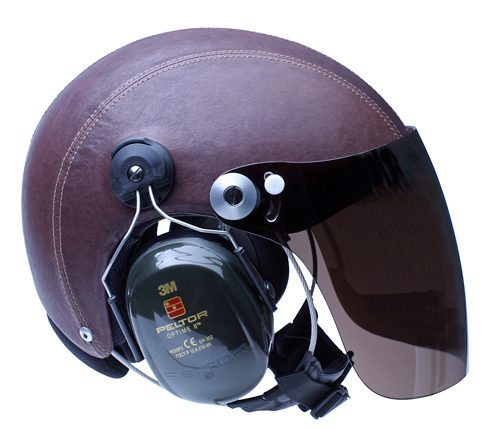 Perfect for the ambitious XC pilot who does not want to sacrifice the safety of the EN B class. 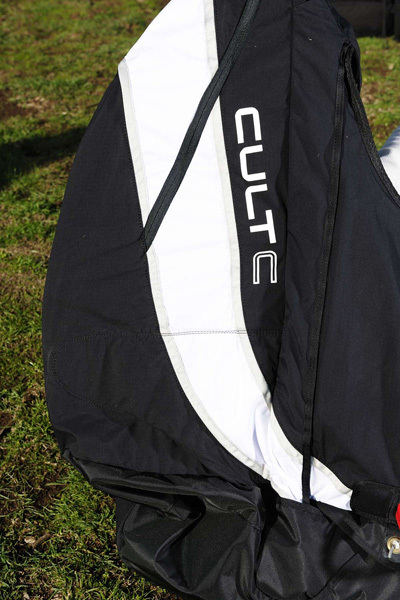 The CULT-C was designed especially for demanding pilots who want to travel with light and compact paragliding equipment. 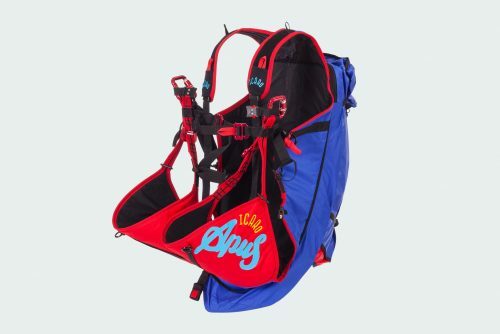 The new Cult3 crossover harness, features permanent foam protectors has been a pilot favorite for years and has been continually advanced. 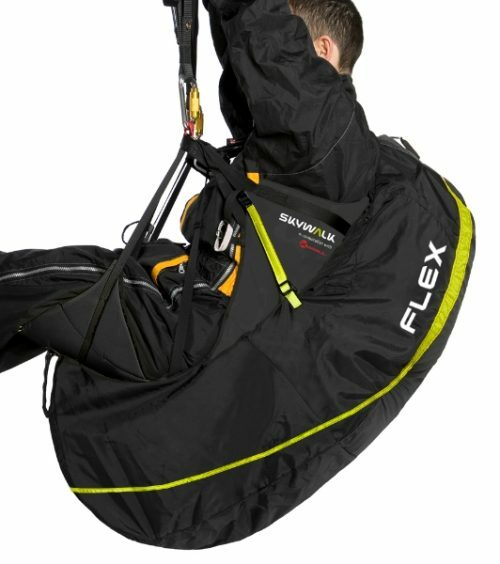 The FLEX, developed in cooperation with Kortel, offers high carrying comfort as well, thus making it an ideal companion on tour or on holidays. 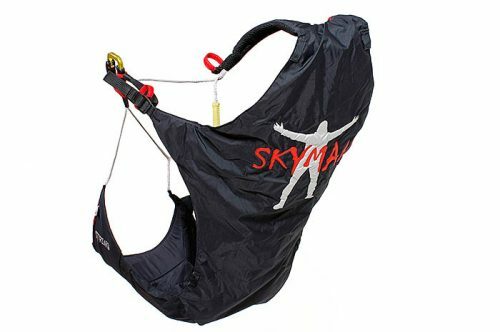 Together with the skywalk TONIC, for example, you have a very compact, lightweight and unbelievably versatile combination. 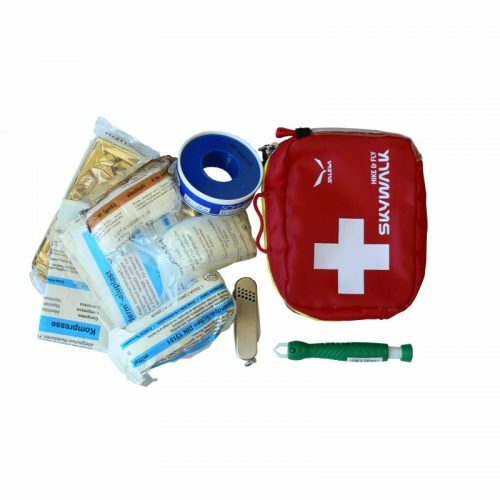 The FLEX is available in sizes, S, M and L and can be ordered with an optional front container and connection line for the rescue. 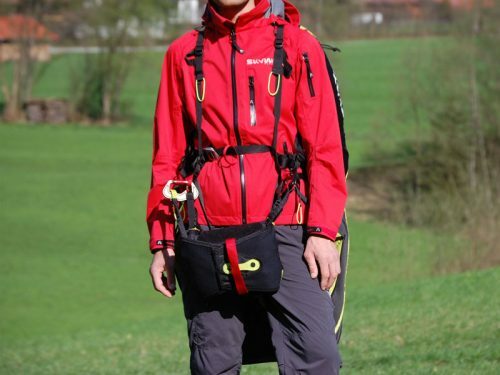 It is delivered with suitable lightweight carabiners. As a responsible tandem pilot, safety is your chief concern. The JOIN'T3 is also fun! 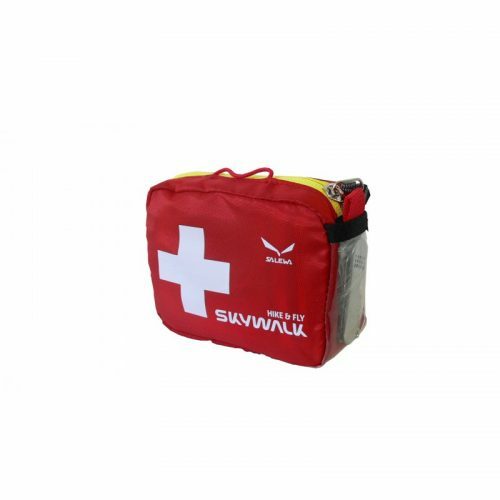 The MESCAL4 is equipped with extremely flexible rigid foil in the leading edge. One of the results is an easy and clean start performance. 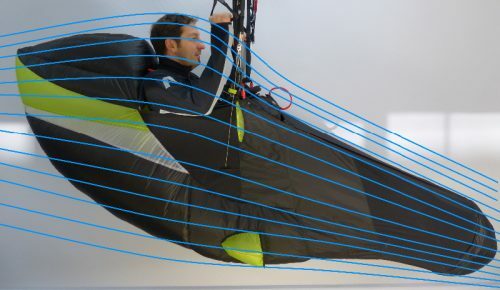 The 3-line technology reduces drag – improving wing performance, thus providing pilots with the safety needed to take off from the training hill. The JET FLAP technology is very forgiving, especially during approach to landing. 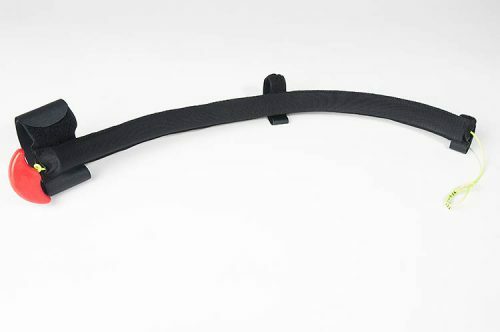 The implementation of robust materials make the MESCAL4 an ideal instruction glider. 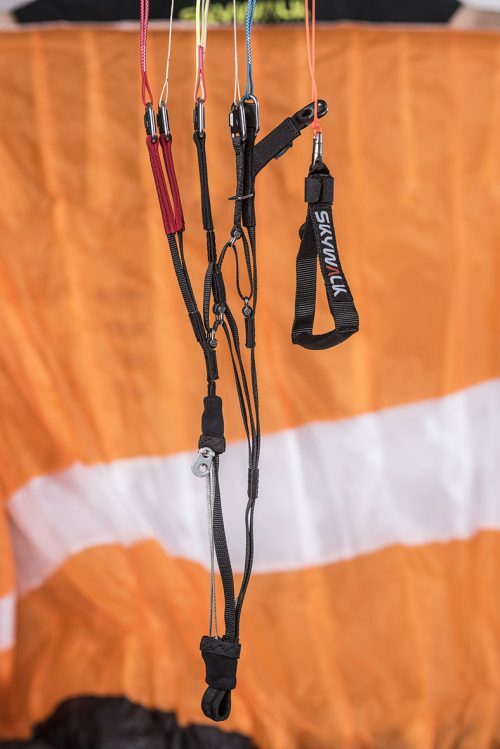 The 5-point check rounds off its use as an instruction glider and makes it 100% beginner-friendly through the simplified launch preparation. Push limits. Increase performance. Achieve perfection. 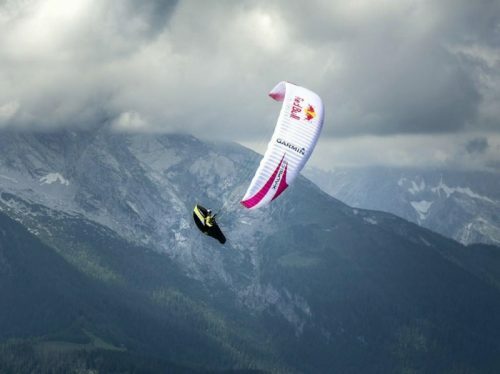 There is probably no better proving ground for a high-performance wing than the Red Bull X-Alps. 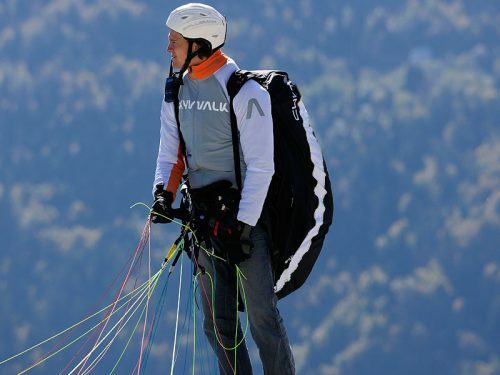 This was impressively proved by our team pilots Paul Guschlbauer, Stephan Gruber and Ivan Colas. 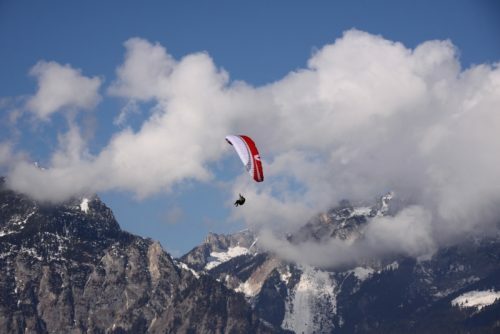 A glider, flown by 3 different high-class pilots, that withstands the world’s toughest adventure race over a 1000 kilometer route across the Alps has just the right qualities that performance-oriented XC pilots are looking for. The POISON X-ALPS is the consequential further development of the X-ALPS2, which was produced in a small series with CCC homologation. Slight changes to trim have increased its performance and responsiveness. 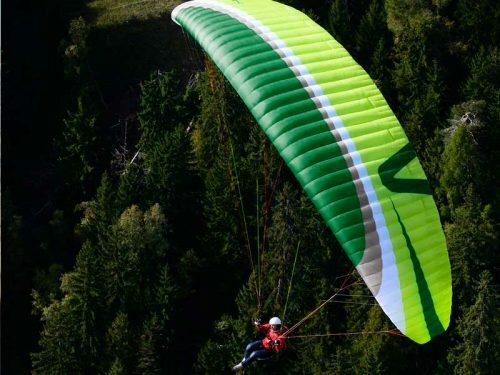 More robust top sail material, optimized lines and more clearly laid out risers make the POISON X-ALPS the ideal XC wing for top pilots. The POISON3 was certified without the help of folding lines. 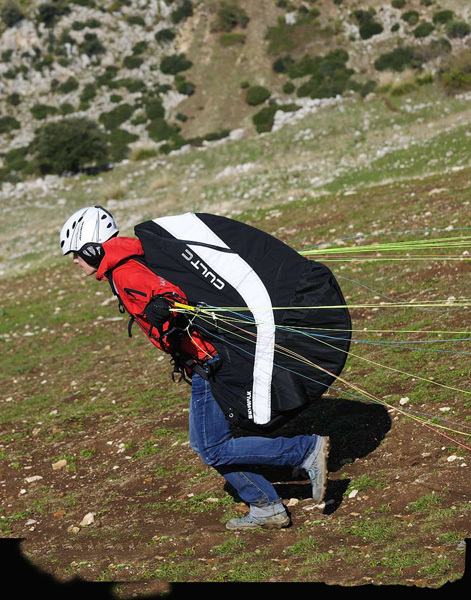 The RANGE AIR has proven itself with a clever concept that makes it possible for not only X-Alps pros to fly an ultralight pod harness.. but everyone. 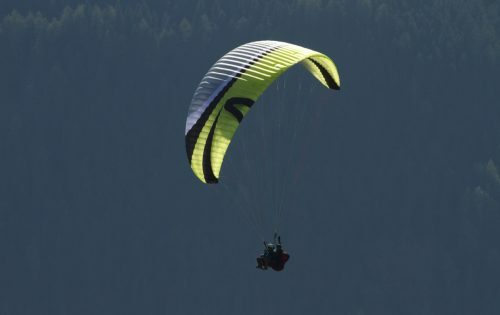 The 3D single layer main seat adapts itself perfectly to your body and paves the way for hours of relaxed flying for XC pilots and hike&fly competitors, even in strong thermals. 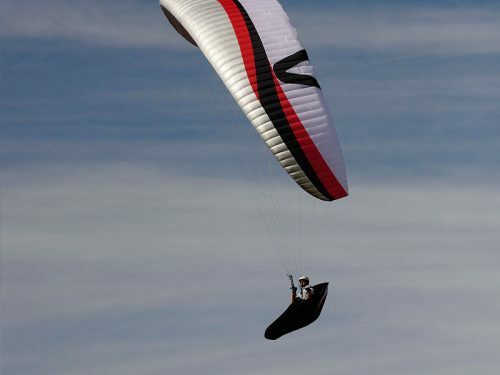 It's good to know that there's a glider that meets all your demands whether you just fly for fun or want to be the highest in your house thermal, make challenging XC flights, or if you're just beginning your training. With the new TEQUILA4, Skywalk brings modern CHILI3 technology to the leisure class! The TEQUILA series was always known for its passive safety combined with lots of performance potential and absolutely uncomplicated handling. That's why Skywalk didn't push the design of the TEQUILA4 to the limit. The latest technologies such as mini ribs, 3D shaping, rigid foils and a reduced total line length turn this pure bred 3-liner into a high performance wing for its class - even as pilot demand remains manageable. 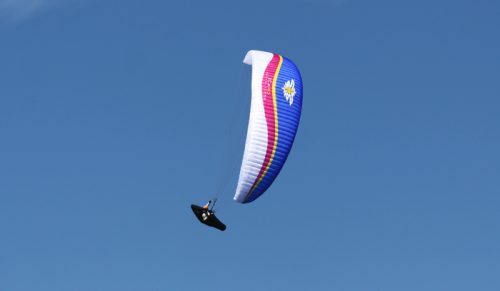 This all-round glider will thrill you with its very direct but light handling and super glide performance and a top speed that is high for its class. 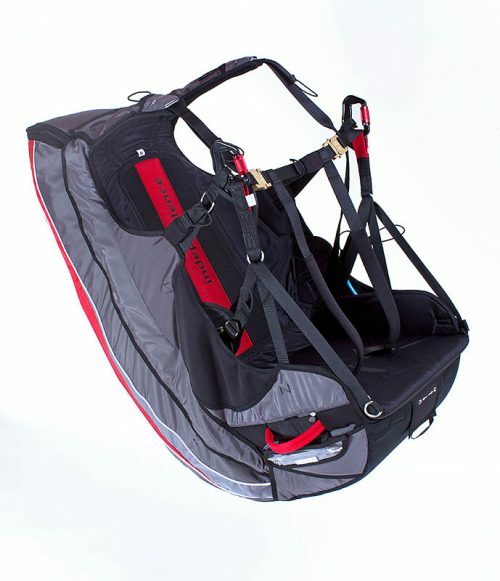 Thanks to its low weight and the use of rigid foils, launching the TEQUILA4 is child's play. And it's fun to fly! Whether you're a talented novice or an XC pilot: the EN-B certified TEQUILA was and is an excellent choice for many pilots.